Having previously rebuked the diesel-powered Panamera, Monkey has some words to eat. The Panamera polarizes opinion more than any other Porsche. Some gag simply at the sight of one, while others vehemently defend it as the ultimate sports saloon. So where do Chris Harris&apos; allegiances lie? It wasn&apos;t long ago that the concept of a diesel-powered Panamera was filling Harris with rage, not something our American readers will care much about. But that was before he was given one to use at his leisure for a few months. 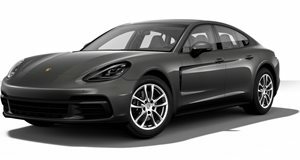 In that time criticism has been leveled at the fact the Panamera Diesel&apos;s 250 horsepower 3.0-liter TDI V6 powerplant was too paltry for a Porsche, or more succinctly was simply too slow. Monkey was quick to counter such claims and in his latest vid heads to the Milbrook testing facility to demonstrate just how fast, and fun, it is to drive. Whether you enjoy looking at the sheet metal is another matter entirely.